Driving home on Friday I couldn’t believe my eyes when heading up our driveway I spotted my two rather fat sheep standing in my vege garden! 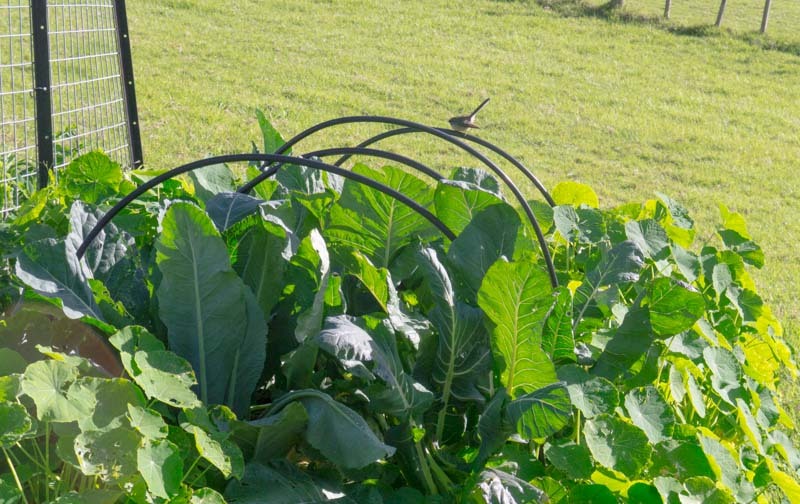 OMG, terrorist alert – unwanted ruminants in brassica raised bed. Quick, urgent action required. I honestly don’t think I have moved so fast in years. I had no sooner stopped the car, flung the door open and leapt out screaming like some banshee. I’m certain I left rubber from my gummies on the cement into the bargain. Of course sheep aren’t really all that silly and quickly realising the error of their ways, they bolted crazily up the hill dragging the electric fence with them! Interesting to see how quickly they can move when they have to! Gone forever – 2 broccoli. All that remained were chomped stalks … And yes, there is always a moral to a story; in this case, don’t put the sheep next to the vege garden without turning on the electric fence! Yesterday was gorgeous weather, blue skies and it was strangely warmish for July. Lovely! Our first tulip has opened too with its bright yellow head nodding in the sun. 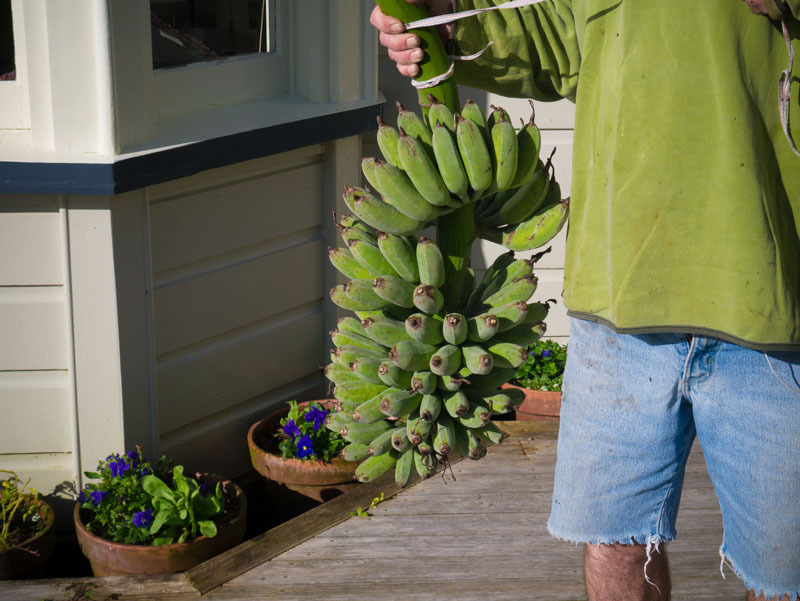 Andrew cut down another green hand of bananas today which are now hanging in our shed to ripen. After the removal of the bunch, the banana stem needs to be chopped off at ground level, as it will only fruit the one time. Once this is done, the stem was cut into sections and used as a mulch, conveniently stuffing the chunks in between remaining banana stems. Now that is what you call recycling. At long last I have mulched most of the garlic … and will do the remaining allium bed later this week. There were lots of self seeded plants poking up from the soil and of course lots of those proverbial weeds. I always hoist out the latter, but I find things like phacelia, borage and calendula harder to remove. Of course if I leave these plants in situ to flower, they will choke the garlic and rob it of its winter sunlight into the bargain. So sadly I will have to hoist these out too … big apologies to the bees. 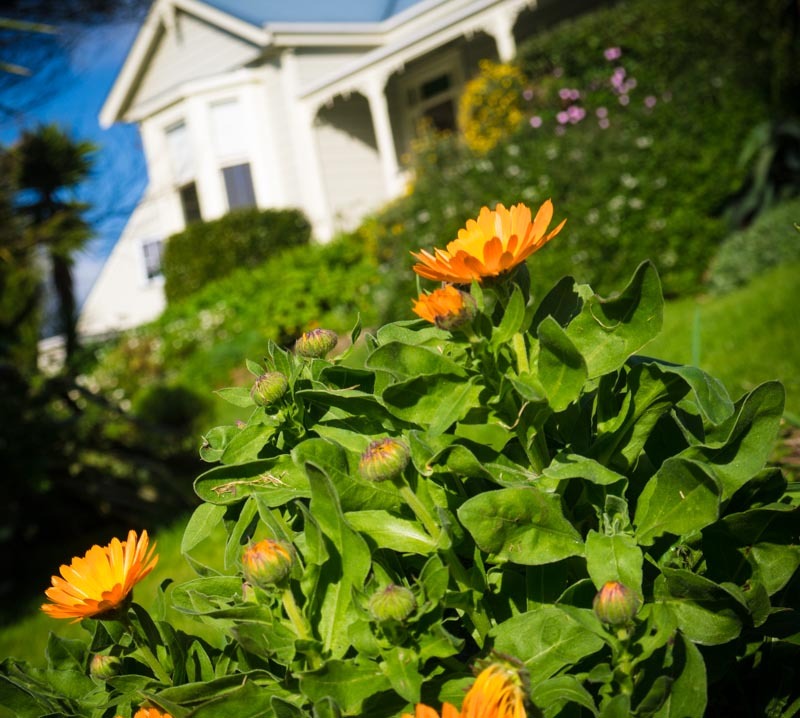 Calendulas in the wrong spot! I’ve been particularly bad and still haven’t pruned those apple and pear trees yet. I should have done them today as the weather was perfect. Plus we have at least 35 olive trees which are in dire need of a trim also. These I suspect will get their haircut closer to spring. Too good not to share. Love all that colour. Flavour is pretty good too .. I spotted a rather small snail sitting on one of my cabbage leaves yesterday … I glanced at it and strangely left it there. Not like me at all. I guess it was something to do with the fact that I was staring forlornly at the remnants of those brassicas. PS Very excited, we have just arrived in Central Otago. Time to check out those vineyards, get some fab pics and have a glass or two of Toi Toi of course! 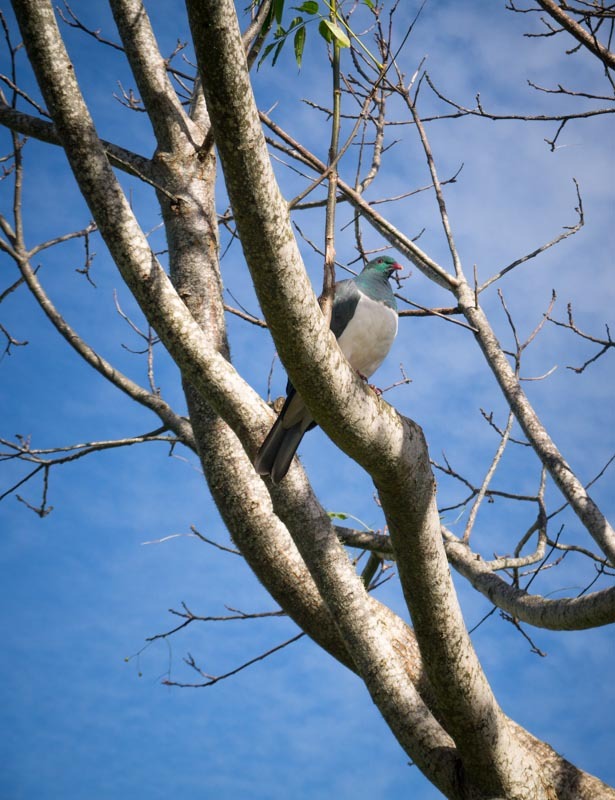 This entry was posted in Companion Planting, Garden Update, Mulching, Organic gardening in New Zealand and tagged bananas, brassicas, fruit trees, sheep where they shouldn't be. Bookmark the permalink. Mmmmmm, bet that fruit is flavoursome! Enjoy the southern visit. Thanks Miss! Back on Akl always good to be home. Had some very nice Pinots! 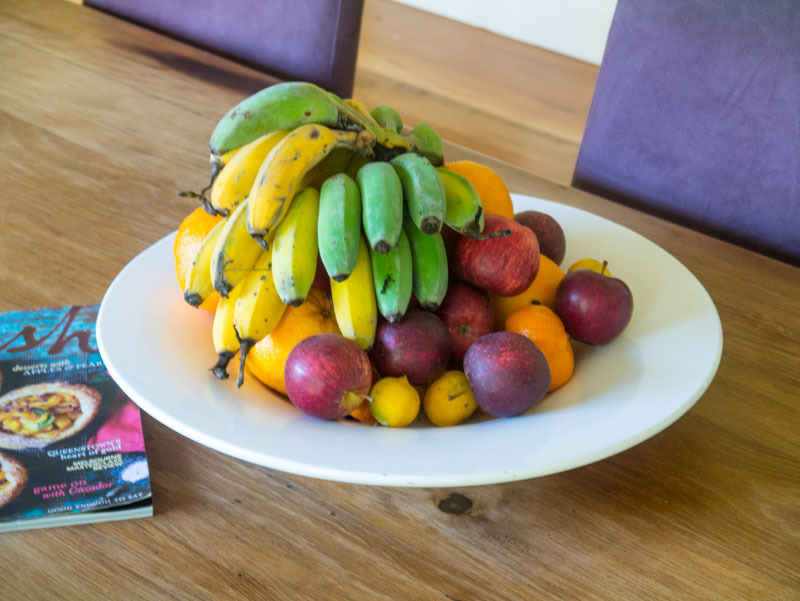 The banana’s look fantastic – nothing like the flavour of home-grown ones!! Quite a few kgs on the hand that has just been picked! I always go past the “Banana Hand” class at the Brisbane Show each year. I think they weigh around 75 kgs – which for August is pretty good going.apparently. I like the way your earlier ones seem to be ripening gradually – mine seem to all ripen at once!!! Oh – and did the sheep “recycle” anything when they were in the broccoli patch?? You’d have to forgive them a bit if they provided some fertiliser! Hey Brenda .. So nice growing your own. We have 2 more hands to pick! Bring on the banana cake. I know, I can’t believe I left that snail! Ha ha Yes loving the homegrown bananas ..they have their own special micro climate.